Colorado is home to the majestic Rocky Mountains. It’s a playground for the adventurous outdoor enthusiasts. You have a bunch of ski resorts which people ski on during the winter months and then they mountain bike on during the summer. There is something for people to do year round. Seasons don’t affect the Colorado Rockies. They are busy year round. One of the best ways to explore the Rockies is in an RV. It would be ideal if you owned your own RV and were able to call it your second home but that is not possible for everyone. Or you may not want to have the hassle of owning your own RV. 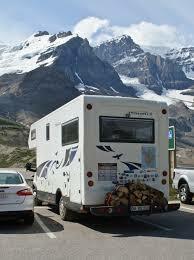 If you don’t own an RV then you will have to rent an RV in Denver Colorado. Denver is a busy and booming city. It is nicely situated on the foothills of the Rockies. So anyone wanting to visit are probably going to be flying into Denver. They have a huge airport that handles tourists year round. They also are home to several professional sports teams. So you constantly have that traffic going in and out of the city. Needless to say it is a very busy city with lots always going on. Being a big city you have several different options when it comes to renting an RV or Camper Trailer. Here is a list of the top ways to rent an RV in Denver. This one is my favorite and the idea and concept is really starting to take off. In a nut shell this is AirBnb for RVs. You have people that own RVs that want to make a little extra money so they are willing to rent out their RV to a renter. People used to do it on craigslist but that is a horrible idea because no one is covered if a problem arises. So now you have a couple websites that specialize in peer to peer RV rental. One of them is RVShare. Check out my review of it here. Basically they are the medium for collecting and dispersing payment and they cover you with insurance so both parties are protected. I love this idea and I have had a really good experience with it but like anything else do not wait till the last minute to book and remember you are dealing with people so don’t book an RV that looks like it has been used and abused. This is another good option and I have had a good experience with it. This is pretty much a company that has all it’s own RVs that specialized in renting them out to people. They have locations all throughout the USA but primarily only in major Metro areas. It is a great option but of course there are some downsides to it. One of them is that you are a traveling billboard for them with their name and phone number plastered all over it, nothing screams tourist more than seeing someone drive by in one of these. They also tend to be a tad bit expensive and they rent out fast because everyone knows about them. Overall this is not a bad option. You will have RV dealerships that will rent out their own RVs to people. With dealerships seeing the great success Cruise America and the peer to peer companies are having they are now wanting a piece of the rental profit pie, which I don’t blame them. If you find a good dealership that is willing to work with you then this could be great. It may take some trial and error and if you have the time then this might be a good option for you. They tend to be a bit expensive and you have to deal with the hours of operations of the dealership. With Denver being such a popular destination for tourists you will find a few places that specialize only in renting RVs and camper trailers. Before you do this make sure you research the place you are renting from and make sure they are reputable and that they will take care of you if anything goes wrong which can easily happen. These places do tend to be a bit expensive and pretty inflexible to work with but they know the business. You have a few good options when renting an RV in Denver Colorado. Choose wisely and have an amazing time.